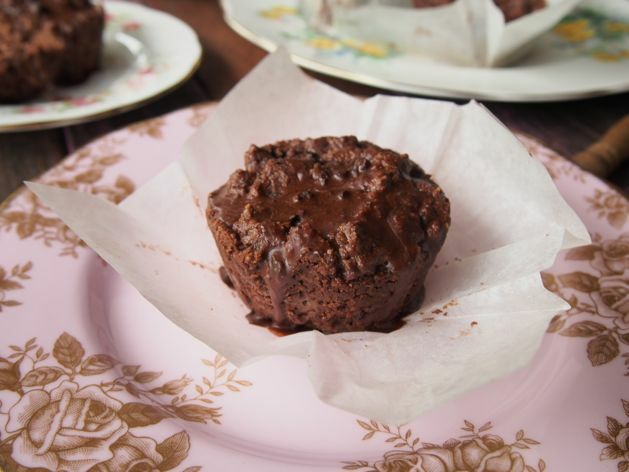 Egg Free, Sweetener Free Chocolate Muffins. How flippin’ good are muffins? We’re HUGE fans. Question though, is there really, truly a difference between muffins and cupcakes? Maybe it’s all in the icing? But TECHNICALLY both can be iced. Is there really, truly a difference between muffins and cupcakes? Conclusion: we don’t think so. They’re pretty much the same thing. 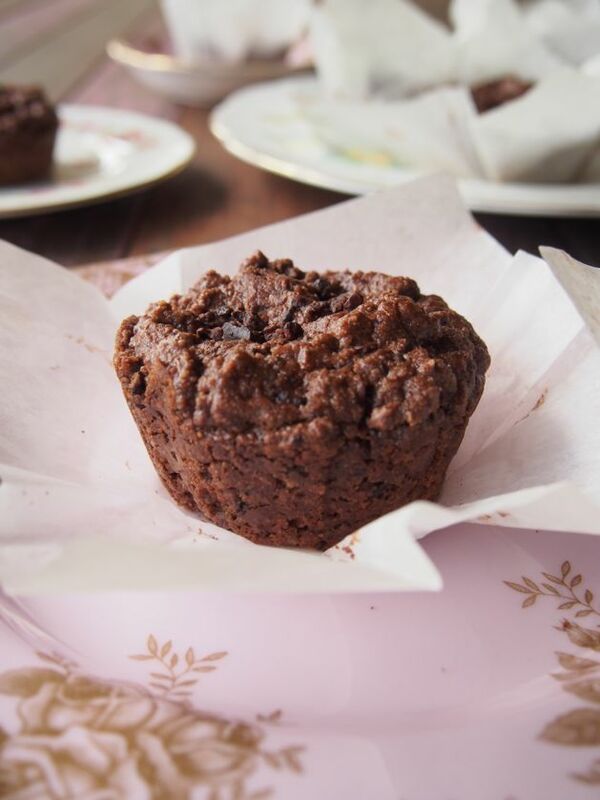 SO today we’re sharing Egg Free, Sweetener Free Chocolate Muffins… or in the case you’re after a cupcake recipe… we’re sharing Egg Free, Sweetener Free Chocolate Cupcakes (ours aren’t iced… but here’s a paleo icing recipe!). The reason we made these paleo muffins egg free is because we literally ran out of eggs and we needed muffins stat… we’re pretty pleased to say they turned out ridiculously amazing (skeptics of the chia gel egg replacement… no need for that!). If you like/can eat eggs, you can just swap the chia gel for 2 eggs! They will work and be super yum. PLUS! Let’s be real right now. The fact that we didn’t use any sweetener means that these Sweetener Free Chocolate Muffins are a tad bitter (Merrymaker Dad’s words), so if you’re not used to it, try the mixture before you bake it. Not sweet enough? Then add 1-2 tbs. of maple syrup or honey! Easy as! 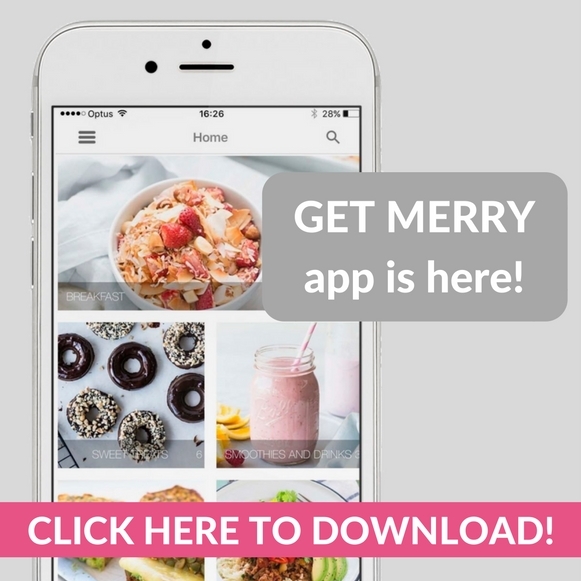 Eventually your taste buds will get used to the not so sweet sweets… and then when you DO use sweetener you will be like ‘Holey heck… that’s too darn sweet!’ We do this ALL the time. Alritey! 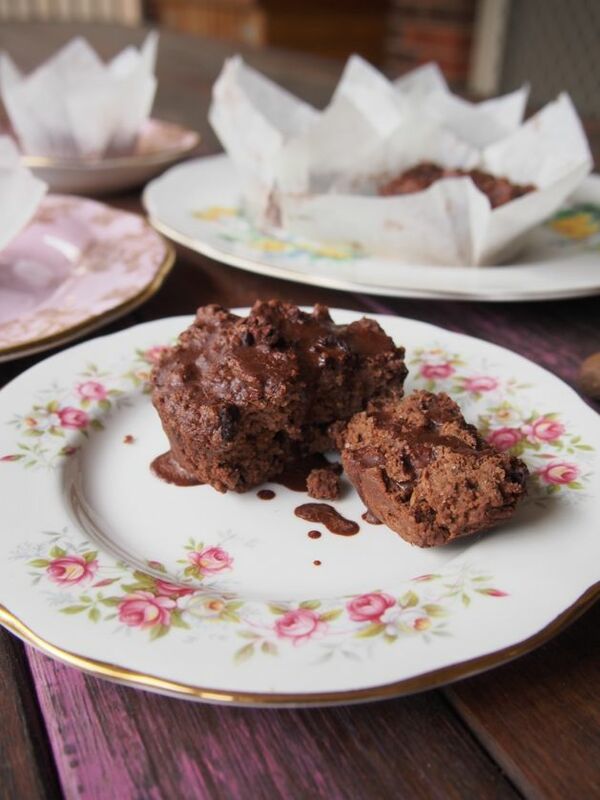 Here’s our easy recipe for Egg Free, Sweetener Free Chocolate Muffins! 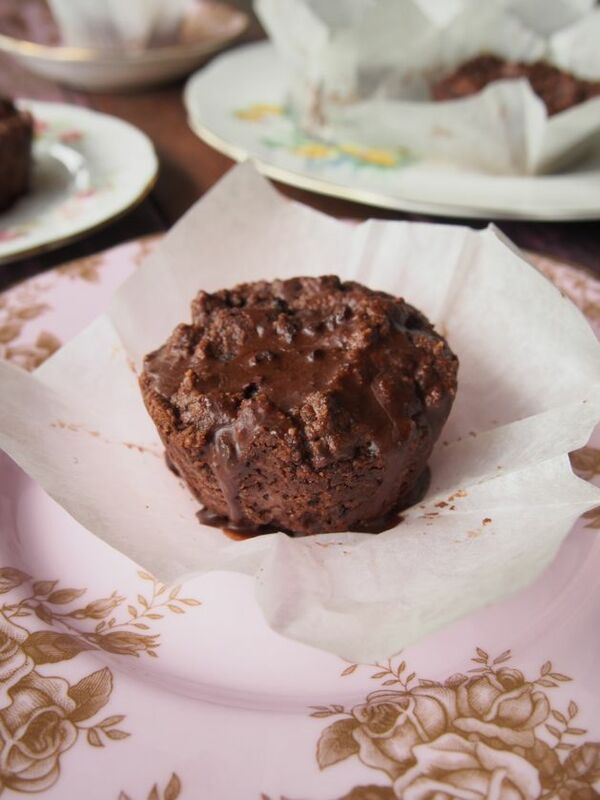 Egg Free, Sweetener Free Chocolate Muffins! HECK YES! If you make them, then we wanna know about it! Leave us a comment and tell us what your taste buds thought! p.s drizzle these babies in our Sweetener Free Chocolate! YUM! 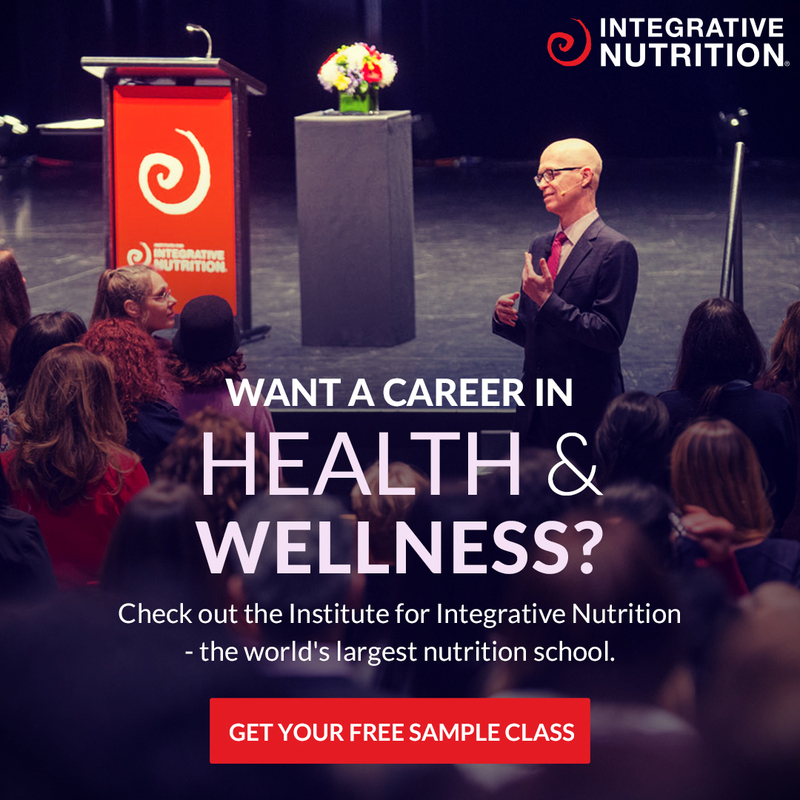 In a large bowl combine the almond meal, cacao powder, cacao nibs and salt. Add the coconut milk, coconut oil, chia gel (or eggs), vanilla and mix well. Definitely drizzle with sweetener free chocolate! Recipe link is above!